Updated at 10:25 on Jan. 25 — Both stores closed three days ahead of schedule on Thursday (Jan. 24). 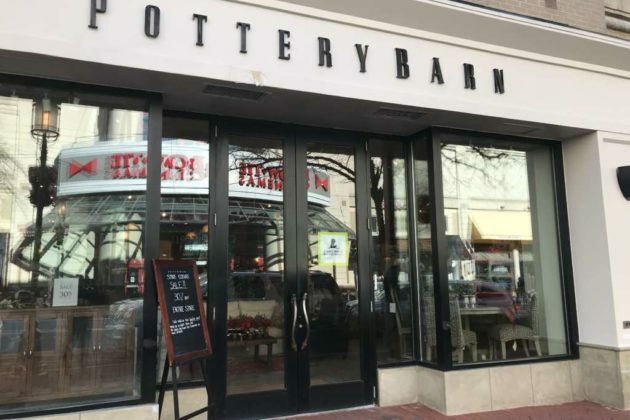 By next week, Reston Town Center will have two big empty retail spaces once filled by Williams-Sonoma and Pottery Barn. 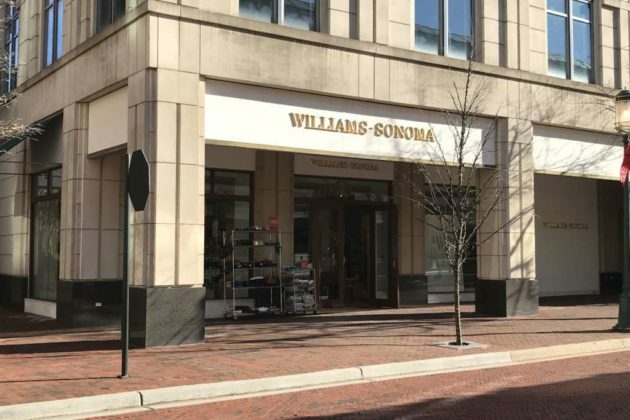 Two spokeswomen — one for Pottery Barn and the other for Williams-Sonoma — told Reston Now that both stores are set to close on Sunday (Jan. 27). The closures will create two vacancies on either side of the Reston Town Center’s pavilion. Pottery Barn (11937 Market Street) is right down the block from Williams-Sonoma (11897 Market Street). Williams-Sonoma Inc. operates both brands. Other locations nearby include Tysons Galleria in McLean and the Mosaic District in Fairfax. The two closures are the first large retailers to leave Reston Town Center after several restaurants and small businesses closed their doors in 2018.